The 3rd generation of our famous Deep Blue multipliers… and they just keep getting better! The new Deep Blue³ model takes the best features of its predecessors and improves on them! Bigger, shielded bearings for smoother running and increased drag surface area, for a more powerful, smoother drag. The frame and Spool is CNC machined from solid bar-stock, aerospace grade AL6061-T6 aluminium, for strength and light weight, with a hard anodised finish to provide total saltwater corrosion and chip resistance. All the stainless steel, ball-race bearings are shielded, for additional protection and manufactured by NMB in the USA - one of the world’s top manufacturers, for ultra-smooth running and long life. The single speed model uses 8 bearings and the 2-speed model, no less than 10. The main gears and Pinion gears, are also stainless steel and provide high gear ratios for faster retrieve. A ‘no-load’ free-spool system allows faster line-out, whilst a single dog anti-reverse system provides care-free reliability, allowing you to concentrate on the fishing! 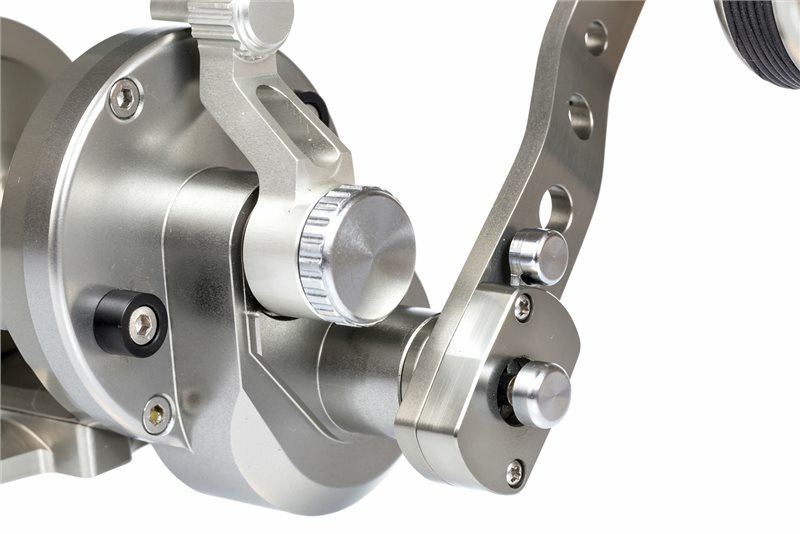 A lever drag control operates the carbon fibre and stainless steel multi-disc drag system for a smooth, controlled drag, with no start-up inertia, to help avoid smash-takes. Maximum drag on all models, is in excess of 10kg. Fitted with a new ergonomic machined aluminium handle, with rubber O-rings, for grip. This unique new design, is the most comfortable handle we’ve come across and runs on a stainless steel ball-race bearing, for smooth operation. All internal components are corrosion resistant for long, trouble free use. The new Deep Blue3 is available in either Right or Left hand wind in the single-speed models and Right hand wind, in the 2-Speed models. Each reel comes complete with a Rod Clamp, tools and reel lubricant, plus a neoprene reel case.